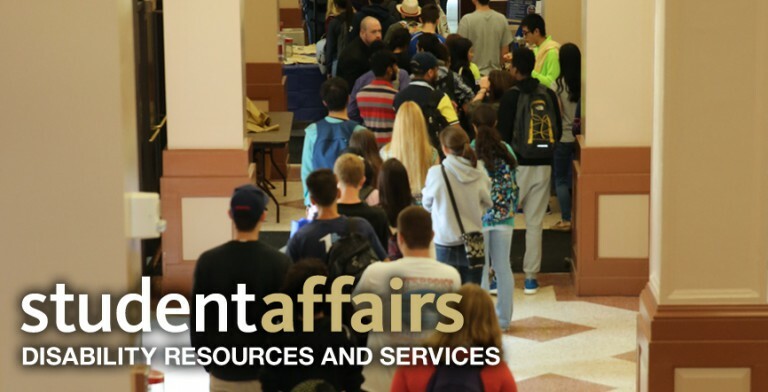 To establish disability and request accommodations, auxiliary aids, and/or services, students must self-disclose their disability with Disability Resources and Services (DRS). Students, not parents, are responsible for initiating contact and maintaining eligibility for DRS services. Upload appropriate documentation of your disability according to the Documentation Guidelines. You will receive an email from the DRS office that DRS received your Student Application and Documentation. This message will prompt you to call and schedule a New Intake appointment with a Disability Specialist. The student and the Disability Specialist will engage in an interactive process to determine if the student is eligible for accommodations.